In our Sound Therapy Training Programs we focus on the healing power of our voices. Mantras, or chants, are common throughout the world and have been used for thousands of years as a tool for sound therapy, transformation, to enter into altered states of consciousness and to connect with the Divine. Mantras have amazing abilities to quieten the mind, heal and transform the body, mind, heart and soul. Mantras are available to all people and are not limited by space, price, location or time and are flexible and fitting to all situations and circumstances. This is why they are often called WORDS OF POWER….!! 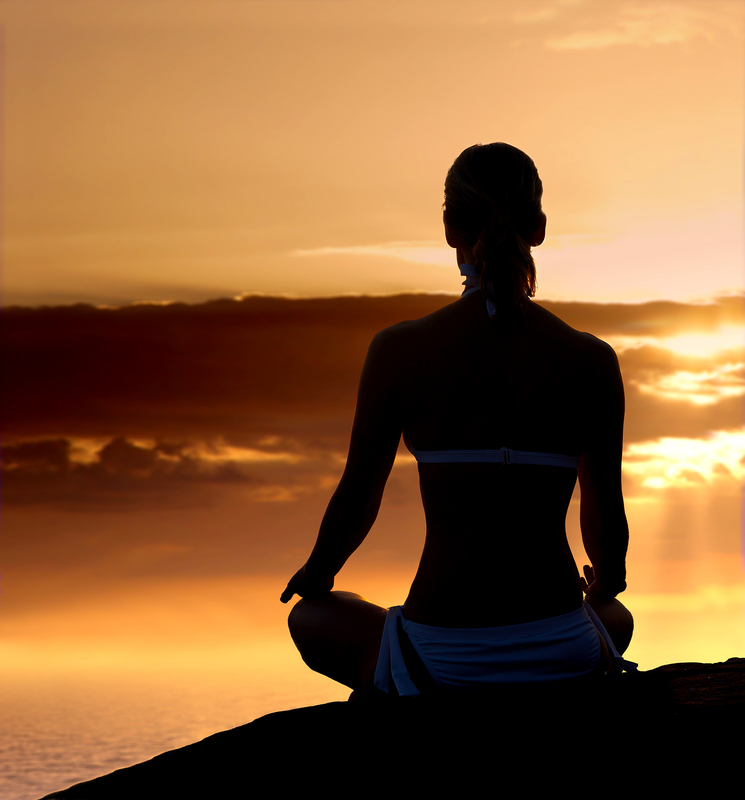 Mantras can be sung, spoken, whispered or recited silently in your mind. So if you feel unconfident with singing out load, then you have other ways to work effectively with mantras. You don’t even need to make a sound! I was fortunate as a teenager to be introduced to both Gregorian chanting, a Christian tradition which dates back to the 7th century AD, and also to chanting mantras in the Tibetan Buddhist tradition which took off in the 9th century. Since then I’ve worked with mantras from a number of other sources both ancient and modern and I’ve grown to love singing them, although I’m not the best singer by any standard! To be most effective mantras need to be chanted or recited frequently – the most ardent people will do this every day and do thousands or even millions of repetitions over a period of years. We don’t need to do that to feel the profound effect of mantras in our lives. I’ve recorded a mantra from Tibetan Buddhism that you can listen to. 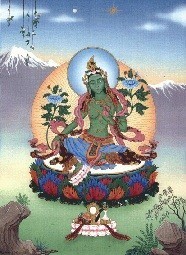 It’s connected with Green Tara, and by chanting this mantra we can activate the quality of active compassion in our lives. This is a quality that needs to be spread throughout the world, especially at this point in time, when there is so much hardship and suffering. The best place to start is with yourself – to feel compassionate towards yourself. We often spend so much time and energy beating ourselves up for not being perfect in our eyes: believing we’re not good looking enough; not wealthy enough; not smart enough; not sensitive enough….the list goes on. By being compassionate towards ourselves, we allow ourselves to relax and heal; to live more easily with our imperfections and to be more open hearted towards others. This is core sound therapy…. Listen to the audio a few times, and as you do so, think of an occasion when someone was very loving and kind to you (it could also be a pet, instead of a human), and as you listen to the chant, allow the feeling of loving kindness towards yourself to grow inside as you keep thinking of that special event. Do this a few times, and when you feel ready, find a place where you’re not likely to be disturbed. Play the audio and start to sing along with the chant, while also remembering that special event and allow the feelings of loving kindness towards yourself to grow stronger and more powerful inside you. You can start by singing along silently in your mind. If you feel comfortable with that, then move onto humming along with the tune. If you’re OK with that, let go and join in with singing out load. You can stop wherever you want, or you can jump straight in and sing out load straight away! This is the Tibetan form: in Sanskrit soha is written and pronounced svaha. You can use either form, it doesn’t matter which one you choose. It’s best to focus on the sounds and their effect on your feelings. You who embodies the essence of awakened body, speech and mind, quickly and with boldness, clear away all fear, distress and suffering of all beings, win complete victory of truth over all negativity, and accomplish this all. To discover more about our sound therapy courses click here. 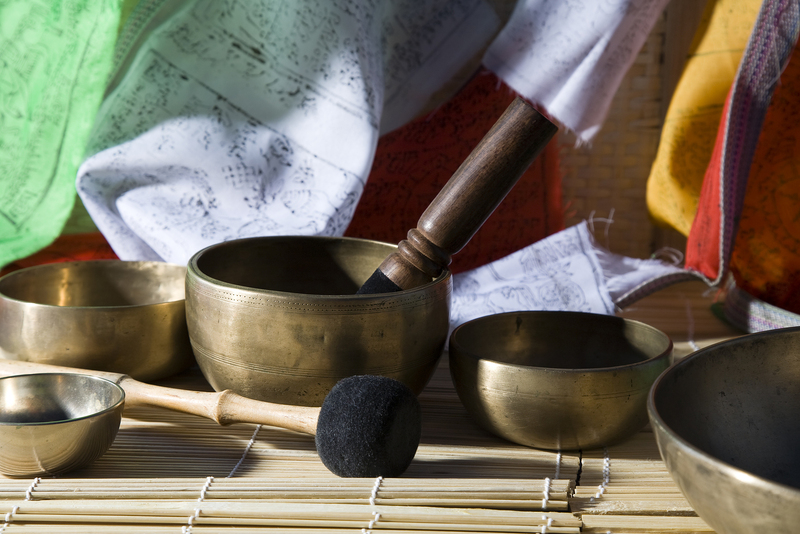 In our Sound Therapy Training we outline how Tibetan singing bowls are often used in sound therapy as they create an orchestra of harmonic sounds that are deep, comforting and relaxing. Wands come in various sizes. It is better to use the larger suede wands with the larger bowls as they play much better and do not vibrate with harsh sounds, the smaller bowls are best played with wooden wands and medium bowls can be played with both suede and wood. When working therapeutically with a Tibetan singing bowl, you should always clean it first. Use a soft cloth, add sea salt, and a small amount of lemon juice to the inside of the bowl and then rub the bowl inside and out. . The different sizes and thickness of the bowls create different sounds and therefore with the use of three or four different bowls a harmonic experience can be created. The bowls create many different tones and overtones when played and have the natural ability to affect our physical, emotional, mental and spiritual aspects of our being. Permeate the our body to a cellular level and release blockages or stored energy allowing us to become balanced. Break up rigid energy patterns and restore the natural circular flow of energy, chi or prana throughout the body. Synchronise the two hemispheres of the brain. Allow us to enter into the alpha-theta optimum healing frequency. 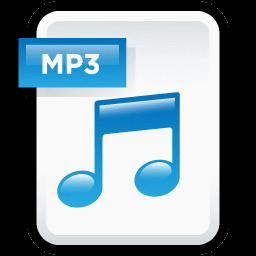 To hear a recording that I made of Tibetan bowls, click on the player below…. This recording demonstrates working with a variety of bowls, wands and playing styles. We recommend using headphones for best audio quality…. To discover more about sound therapy training click here. To find more about how sound therapy works click here. With Sound Therapy we lift our own vibrational structure whenever we feel challenged, and in doing so, we remain open, positive, healthy, compassionate and courageous in the face of change. 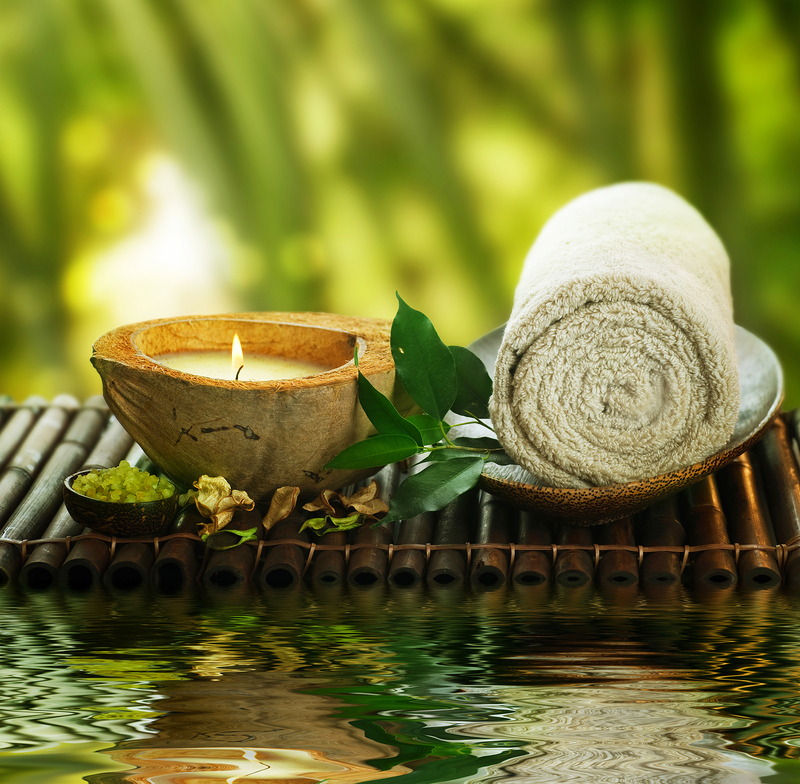 By tapping into the wisdom and practices of ancient mystics and integrating the findings of quantum physics and epigenetics, Sound Therapy is emerging as a powerful medicine and is rapidly growing in popularity as a healing modality. Humanity’s belief in sound as a creative force is as old as time. Creation myths stretch across the world and although their stories may differ what often binds them together is the idea that our visible world emerged from sound. In Christianity, the Old Testament tells of the beginning coming from the Word. In the ancient sacred Indian texts, we learn that OM is the sound of creation. Throughout human history sound has intimately intertwined into our daily practices, meditations, celebrations, rites of passage and sacred ceremonies. It has been revered as being an extremely effective and adaptable tool and as such many and varied instruments have been created. Shaman, priest, priestess, healer, masters and medicine men and women from the four corners of the earth have worked with sound in sacred ways since the ancient days of humanity. We can see from this that it is no coincidence then that in today’s modern world sacred and ancient sound instruments continue to have a renewed sense of interest. Spiritual seekers who are often searching for answers to life that cannot be found in the material world are beginning once more to hear the call of sacred sound and now more than ever they are using sound as an aid to meditation, as a holistic healing tool and to connect to the spiritual side of life. Scientifically it is theorised that sound is all around us and in each moment we are totally surrounded by sounds. These sounds therefore must have cause and effect upon our body, mind and spirit, both positively and negatively, manifesting both ease and dis-ease. The pure clear vibrations and harmonics of sound therapy instruments have the unique capacity to restore our natural resonance and bring us back into harmonic balance. Sound has always been used to heal and bring balance to the many aspects of our being. It has been linked with all the great spiritual philosophies of the world. It has been woven into the fabric of humanity through civilisations and individuals who have spent lifetimes spreading sounds to all those who had the wisdom within to feel its immense potential for spiritual transformation, healing and inner and outer equilibrium. Sound Therapy gives you the opportunity to stretch beyond the bounds of your habitual patterns to embrace a new vision for living on this planet; one that is filled with hope, passion, peace, joy and love. In our Sound Therapy Training Programs we teach that optimum health occurs when we are vibrating in harmony at our natural and inherent resonant frequency. Each aspect of our being including our physical, mental, emotional and spiritual aspects has a unique resonance, or rate of vibration. When one of the resonant frequencies of these aspects begins to vibrate out of sync, dis-ease or ill health occurs. When this happens, an imbalanced sound pattern or vibration has been established within one or more levels of our being. Let’s look at each of these in turn…. Sound Therapy tools can help to restore the inherent vibration via sympathetic resonance. The sound therapy tools allow the area of imbalance to be brought back into balance through a like vibration. The like vibration is the vibration, which matches the original frequency and is the frequency the area most naturally wants to vibrate at. Through the projection of the sound tools’ pure vibrational sounds the waves go to the area of imbalance and the weak or dissonant frequency is transformed and optimal resonance is restored. 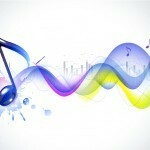 Sound therapy also works through entrainment, which is a law of physics. The definition of entrainment is the predisposition that two oscillating bodies will lock into phase so that they vibrate in harmony with one another. Entrainment therefore occurs when two or more rhythmic cycles come into synchronisation. This principle is universal and can be found on many levels for example in chemistry, neurology, biology, medicine and astronomy. Dutch scientist Christian Huygens discovered entrainment in 1656 when he placed two unsynchronised clocks side by side and found that they began to gradually synchronize. He discovered that the precision of this was so accurate that not even mechanical intervention had the capacity to calibrate them quite so accurately. On a physical level entrainment can often occur in women who live together or who spend much of their time together. Their entrainment is of a bodily nature, through chemicals and hormones that regulate the menstrual cycle. What can often happen to these women is that their monthly menstrual cycle begins to synchronise and they lock into step with one another. This law of physics also applies to other more complex structures such as the brain. Brain wave entrainment relates to the brain’s actual electrical response to rhythmic sensory stimulation, such as pulses of sound or light. When the brain is given a stimulus either through the eyes, ears and / or one of the other senses, it emits an electrical charge in response. This is referred to as being a cortical evoked response. These cortical evoked responses are electrical responses which travel throughout the brain and ultimately become those things that we see, hear and feel. If the brain is presented with a repeating stimulus, it responds by synchronising these electric cycles to the same rhythm. This is commonly called Frequency Following Response or ‘FFR’ for short. The stimulus itself can be nearly anything; for example a physical vibration, a flash of light or a pulse of sound. An example of this can be seen when the brain is presented with a sound instrument such as a drum which emits a rhythmic sound that stimulates the brain. This rhythmic beat is reproduced in the brain in the form of electrical impulses. When the drum beat increases or decreases in speed, but stays consistent the brain responds and synchronises its own electrical cycles to the same rhythm of the drum. Frequency Following Response (FFR) is used in sound therapy to stimulate special brainwave frequencies that are associated with positive well-being. As brainwaves are intimately linked to mental states of consciousness, by creating sounds associated with brainwaves that lead to peace, calm and healing, we bring about positive change. An example of this can be found when working with the 4-8 hertz theta brainwave frequency. Theta is associated with both sleep and deep meditative states. Therefore working with a 4 – 8 Hz sound pattern is extremely helpful in manifesting the sleep/meditative state and can be used for example with someone suffering from insomnia, stress, tension and general anxiety. With Sound Therapy it is possible to stimulating particular FFR’s relating to specific mental states including relaxation, healing, creativity, grounding etc. The FFR is also linked to the creation of deep spiritual states including deep meditation, lucid dreaming and moments of realisation. Part of the process of the electrical reactions within the structures of the brain comes from the synchronisation of the two hemispheres of the brain: the left and right, which are associated with masculine and feminine attributes. The left-brain is linked to the masculine principle of reason, scientific proof and emotional objectivity. The right-brain is linked with the feminine principle of creativity, intuition and empathy. Sound tools allow the two hemispheres to be balanced and come together for maximum or optimum health, transformation and advancement. This is often referred to as ‘hemi-sync’ ® through the work of Dr Robert Monroe of the Monroe Institute, who has done much research into this theory. The simplest way in which to achieve this via sound therapy is with the use of two different frequencies. We can see how this works for example with a frequency of 100 cps and another of 108 cps that are played in tandem. What happens with these two differing frequencies is that a third frequency is created from them. In this example it would be a frequency of 8 cps. What is also important in brain synchronisation is that the frequency is within a range that stimulates positive mental, emotional and or physical responses. In this example the balancing of the two hemispheres of the brain occurs within the Alpha range, this is linked with relaxation, light meditative states and creativity. 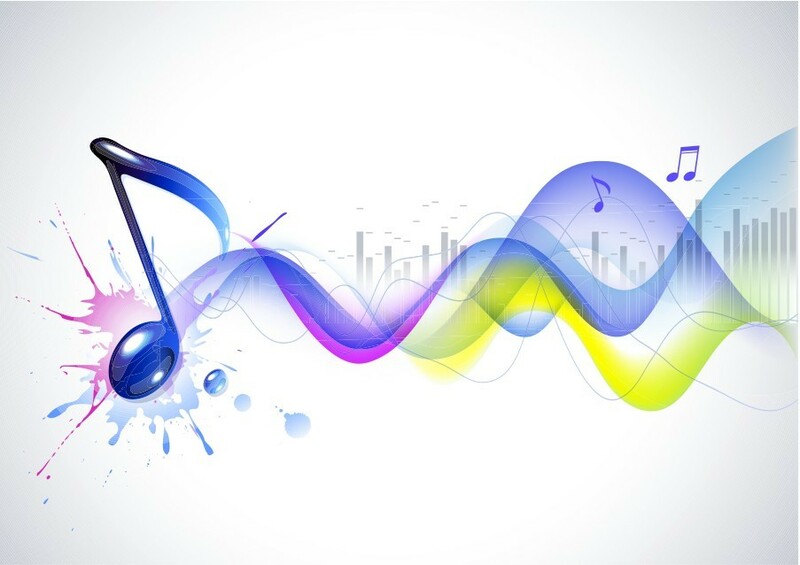 So we can see that sound therapy, through its inherent rhythmic vibrations and sounds can alter the brain wave frequency, entraining harmonious frequencies. Dissonant vibrations can be replaced, ensuring imbalanced areas locks into the rhythmic pattern and thus changing vibratory rates, from negative to positive. Sound Therapy has the wonderful potential to balance the two hemispheres of the brain allowing equilibrium to be achieved and to manifest positive states of consciousness linking to mental, emotional and physical balance, harmony and well being. Discover our Sound Therapy Training Programs – click here…. At the Colour of Sound Institute we pride ourselves on providing the highest quality of sound therapy training for all our students. 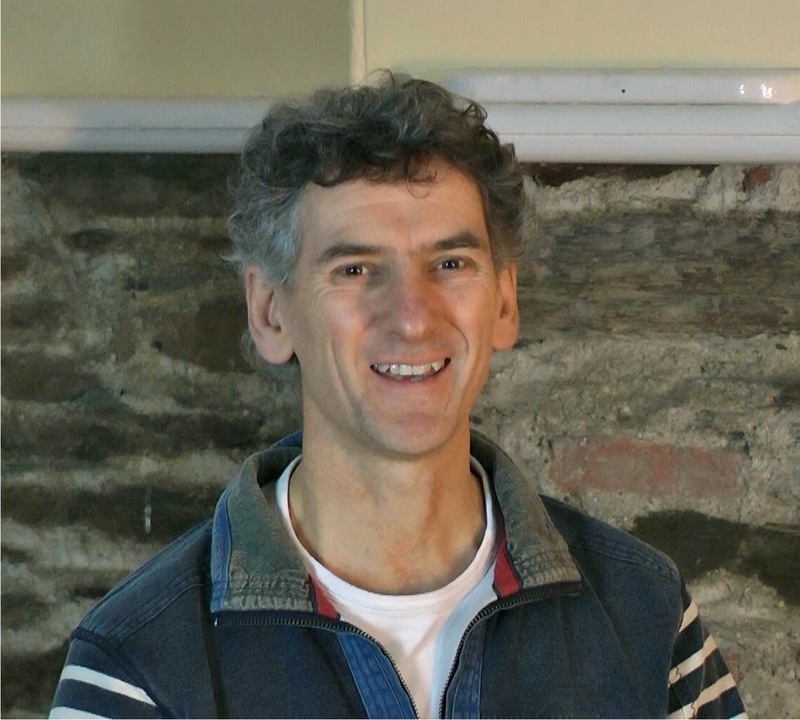 We’ve been established as a sound therapy training provider since 2003 and have an outstanding reputation within this specialist field. We are a centre of excellence which offers an exposure to a variety of training, tools, and instruments relating to sound that have the potential to restore natural balance and positive wellbeing. We are sincerely committed to the support and advancement of professional, quality standards in the specialist field of sound therapy training, as well as complementary medicine as a whole. We believe whole heartedly in the enormous positive potential of sound therapy as a holistic therapeutic system for positive wellbeing. Our teaching method places its emphasis on individual personal development, combining science, unique healing techniques and ancient wisdom. Our training offers the keys to open up to new levels of learning and perception, combined with practical hands on experience in our comprehensive professional practitioner training courses that are open and accessible to all. We are listed as an independent school by the British Complementary Medical Association (BCMA). The BCMA is the major Complementary Medicine (CM) multi-therapy umbrella body in the UK, representing some 45 single therapy organisations (some of which are in themselves umbrella bodies but for a single therapy) and some 18 independent schools. Through this structure it speaks for over 20,000 practitioners of 11 different therapies. The BCMA operates a system of voluntary self-regulation with a Code of Conduct and a Complaint Investigation and Disciplinary Procedure (with lay involvement) which are mandatory for all members and their practitioners. All applicants for membership undergo an investigation to ensure they have a satisfactory standard of education and training as part of their entry requirements. A minimum level of Medical Negligence and Public Liability insurance is also a requirement. It is also moving towards a requirement for Continuing Professional Development for membership and maintains a Practitioner Register for referrals of suitably qualified practitioners to the public. It is encouraging all its members i) to become involved in the development of National Occupational Standards through Healthcare UK and the Qualifications and Curriculum Authority as part of its commitment to ongoing standard-raising and ii) to seek Voluntary Statutory Self-Regulation as is available under the recent Health Act. Our sound therapy training courses have been approved by the BCMA so you can be confident that you will be studying sound therapy training with a professional training organisation that puts excellence and quality at the forefront.